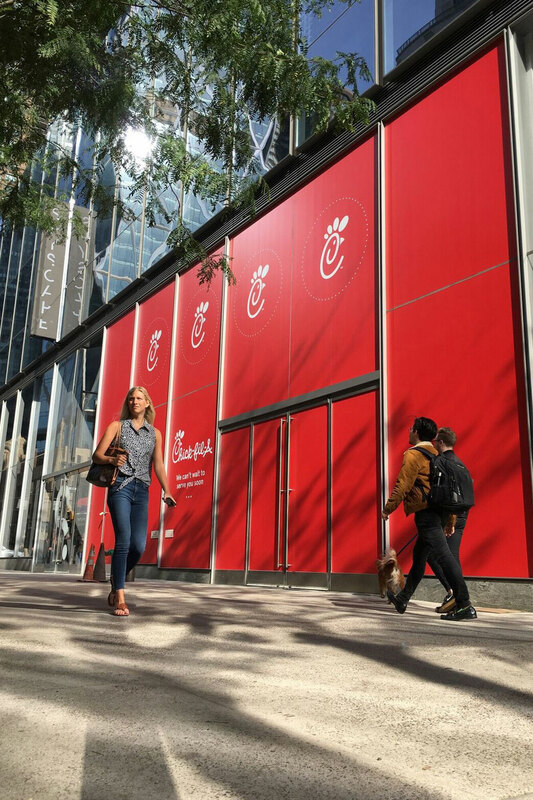 The former nuclear engineer has followed a unique path to Chick-fil-A’s newest NYC restaurant. Young’s path to becoming a Chick-fil-A franchise owner/Operator is unique. While not many people can say they have spent significant time on a submarine or thwarted counterfeit currency circulation for the government, Young has done both. These experiences, along with his numerous other career stops, have shaped him into the perfect leader for Manhattan’s fifth Chick-fil-A location. Young graduated from the U.S. Naval Academy and went on to reach the rank of Lieutenant, Nuclear Engineer in the U.S. Navy. He specialized in submarine warfare, specifically, processing and verifying national nuclear launch orders. This is where Young developed his ability to work in tight spaces under pressure – literally and figuratively – a skill that has paid off during his on-the-job training in one of NYC’s Chick-fil-A restaurant kitchens while preparing for his new role. Later, in his civilian business career and as director of currency verification at the Federal Reserve Bank of New York, Young honed his skills at managing teams and developing a sharp eye for the most minute detail. As he embarks on this next venture, what Young is most passionate about is “inspiring, motivating and encouraging,” his restaurant Team Members to shape the next generation of leaders. He told Black Enterprise Magazine that being a Chick-fil-A Operator means being “willing to roll up your sleeves,” as it’s a full-time, hands-on job. He’ll do just that when he opens his restaurant to serve the Midtown Manhattan neighborhood later this month. You can read more about Young’s journey in a November feature in Black Enterprise Magazine here.